Lately it seems that Mixology Monday is how I mark the passing of time. “Didn’t we just do this?”, I ask myself when I get the alert that there is a new challenge up on the site. Maybe it’s also because I hosted last month and I was neck-deep in it for a full week. This isn’t a complaint by the way. 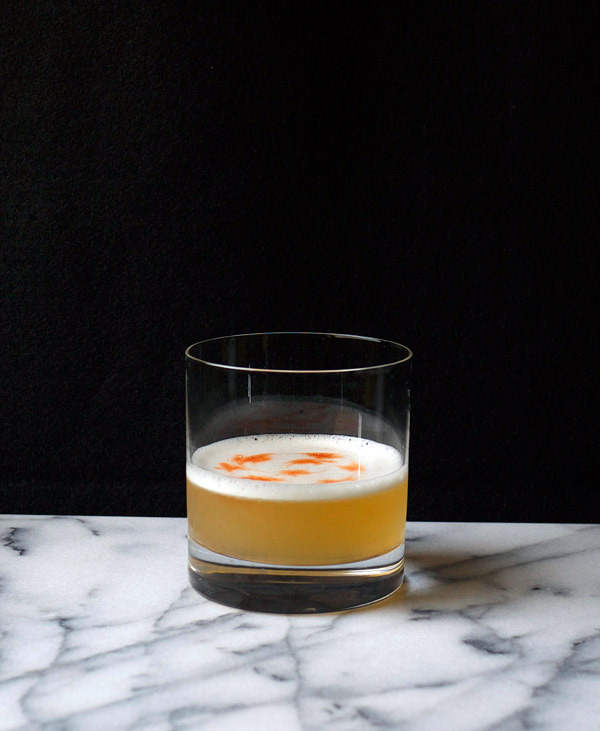 I love these challenges, and this month, Stewart from the Putney Farm blog has really created a doozy of a challenge for us all: make an “Intercontinental” cocktail. For the full run down, please visit his site here! A geography lesson was needed as I started picking through what I had on hand. Trinidad is considered part of South America, even though it’s an island. Right, islands are still part of a continent. Admittedly I kept forgetting we only have 7 continents. Why does this feel like school? However, even with all the map reading and consulting a globe, I actually had a recipe idea already in mind that I was just going to shoehorn into this month’s challenge. Last month I attended a cocktail event here in Los Angeles, Taste L.A. (which was actually cocktails and food but I only went to the cocktail-themed event), where there were some great demos that I took notes on and squirreled away for future post ideas. The demo I was looking forward to attend the most was one with bartender extraordinaire Matthew Biancaniello, who was awesome, but what I didn’t expect to be the most intrigued by was Brady Weise from the 1886 Bar (which I wrote about over here if you’re interested). 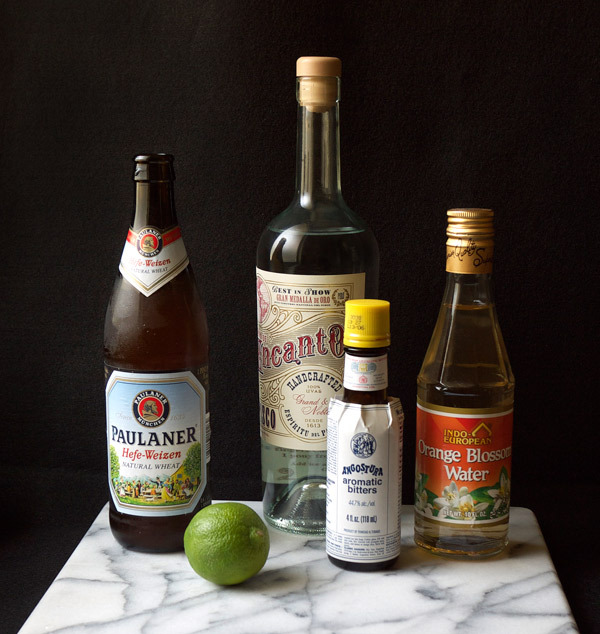 He is known for his beer cocktails, and I am always on the lookout for those, but for his demo he showed us how to use beer as an emulsifier to sub out using egg whites in cocktails. Science cocktails! By doing this, he effectively made a vegan cocktail. Yes, before anyone brings it up, many, many cocktails have no animal products in them whatsoever. However, if you notice, more bars now are using egg whites and whole eggs in their cocktails as they re-discover classics that call for these. If you are vegan, you are missing out. This post is for you guys. Weise’s cocktail was a Pisco Sour and since this is my first time trying this out, I’m sticking, mostly, with his measurements. To get the right consistency, he suggests using a very wheat-y beer. There’s some scientific stuff about proteins and such that I have not provided for you to read. You can open a new tab if you’re really interested and have the internet tell you about it. So which continents did I hit? Well, the limes were from Mexico (they’re not in season here right now) so there’s North America. The Pisco was from Peru, so there you have South America. Angostura Bitters are from Trinadad, but that’s still in the Americas (shoot!). The Hefe-Weizen’s Germany so we got Europe covered. And the added touch? Orange Flower Water, from Lebanon. So there’s Asia. BOOM! Four out of seven is not bad in my book. Now that school is over, let’s make a drink! Pour the Orange Flower Water in the bottom of a rocks glass. Swirl to coat the entire inside of the glass and pour out remaining liquid. 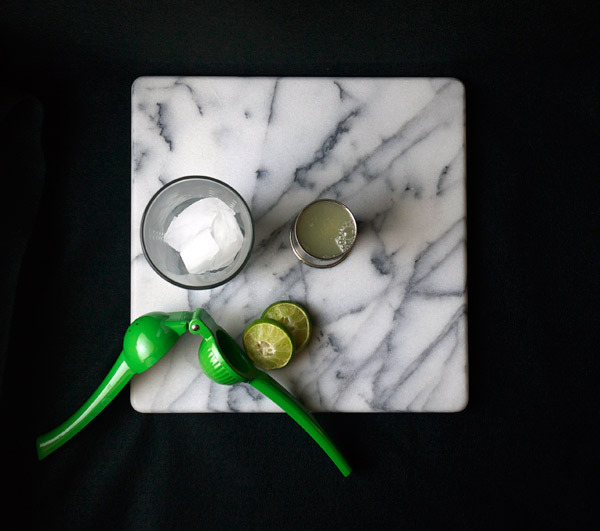 In a mixing glass, add lime juice, simple syrup, pisco and–slowly–beer. Using a Boston Shaker, hard shake for about 30 seconds. Strain into your rocks glass and give a few hard shakes to get foam out of the shaker and into the glass. Top with a few dashes of Angostura Bitters. The result is similar to a regular Pisco Sour, except this version has some wheat in the finish and a sweet orange, floral aroma and taste. Overall tart with sweet grape, but a balanced tartness due to the orange flower water (after trying without, I prefer this less mouth-puckering version) that also compliments the wheat from the Hefe-Weizen. The head is thick, foamy, and slowly dissipates, showing its structure. Thanks to Stewart for hosting this month and to Frederic for keeping Mixology Monday up and running. If you didn’t click on the link for 1886, and that’s fine, no one is forcing you to, more of my writing can be found on the Serious Drinks site now. What kind of stuff? Reviews of some of my favorite places to drink in Los Angeles, and first looks at some new places. Heading to L.A. soon? Check it out! The liquor shelf page was starting to get a bit crowded, so the bookshelf is getting it’s own page now! There is something haunting about that shot with the juice press. Damn I like your site. Thanks mister! Man, spent a good long while trying to decide whether I should crop that picture or not. I like that it looks like it is floating in space. Nice one! Will give this method a try. Just a question: Why pour the beer slowly? Shouldn’t we try to get the bubbles out of it for the shake? I found that I got a more accurate pour when I poured the beer slowly (less head). With this small amount, no problems with the bubbles and shaking. Do you know which brands of Pisco are vegan? Does it get strained with isinglass? Most hard spirits are vegan. Apparently you need to watch out more for beer or wine as they may contain animal byproducts. If that is a concern you might want to contact the liquor company directly and then be happy to let you know!